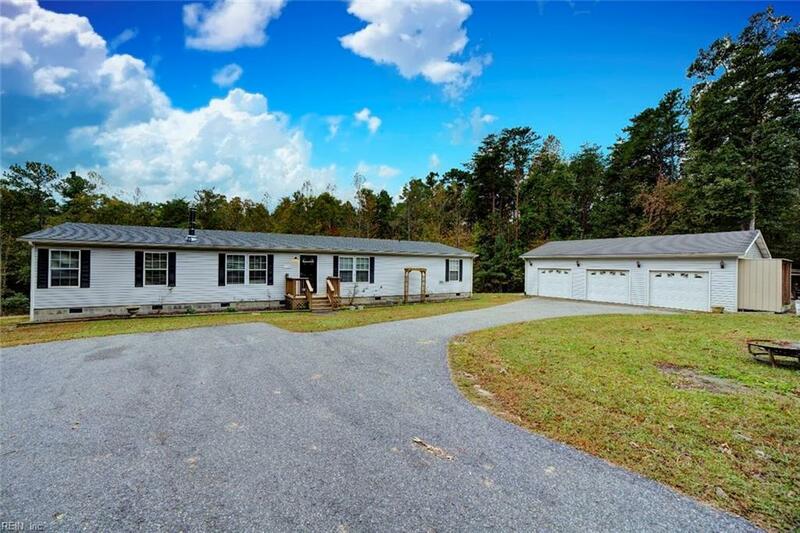 10024 New Hope Ct, Gloucester County, VA 23061 (#10228844) :: Abbitt Realty Co. Fantastic property ready for you to call HOME! 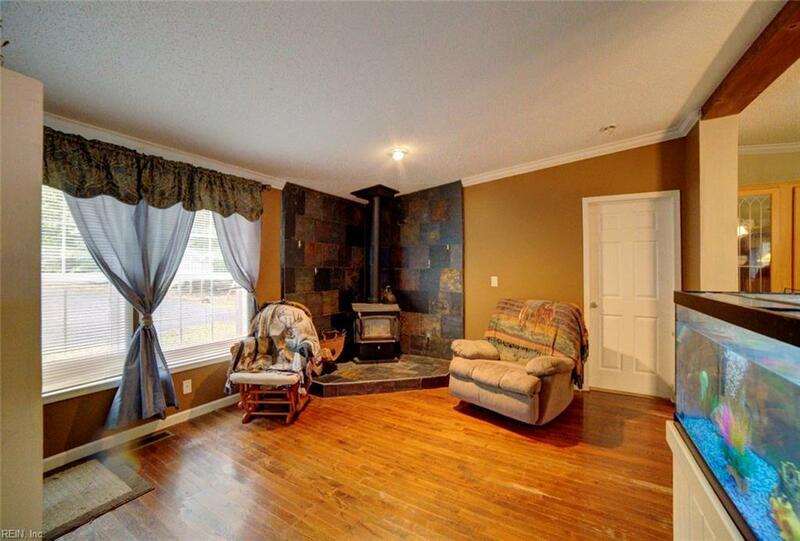 Spacious 4 bedroom home offers over 2000 square feet of comfortable living space on 5 acre cul de sac setting with detached 3 car garage. 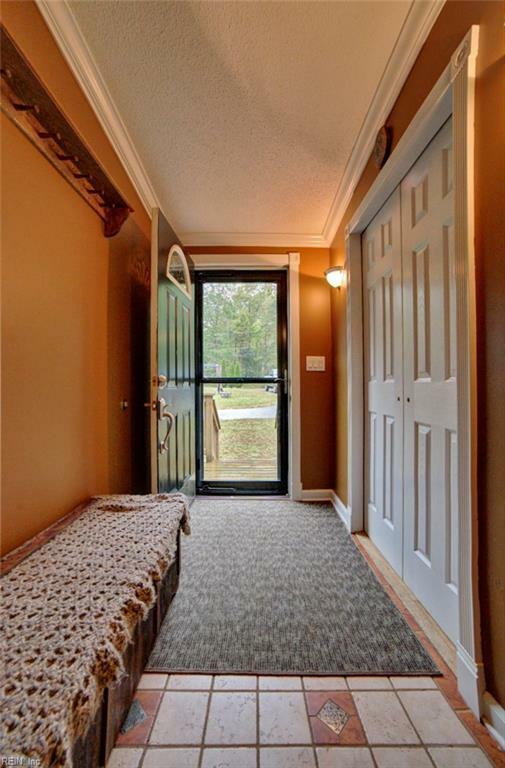 This lovely rancher boasts a Living Room, big Kitchen with stainless steel appliances & adjoining dining area, spacious Den, private Master Suite featuring walk-in closet, jetted tub & separate shower, 3 additional bedrooms, bonus room with closet & large laundry room including a water softener and space for separate freezer. 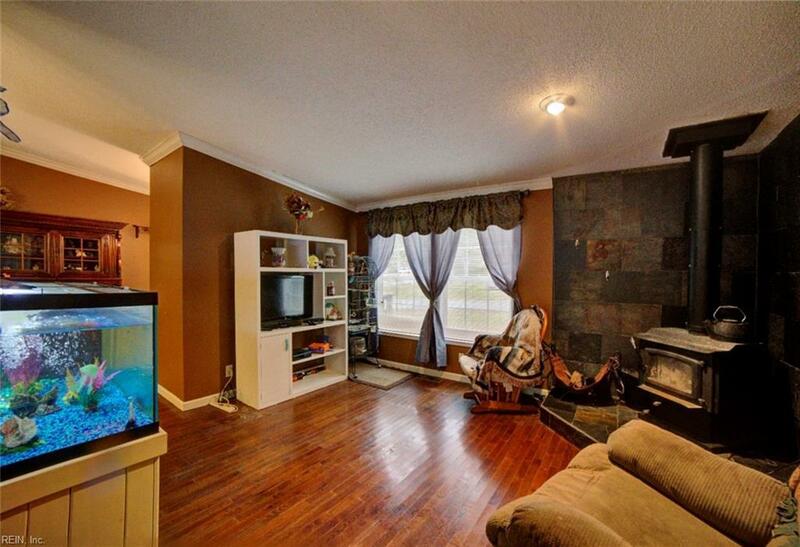 Large rear deck, play set & lots of room for gardening, pets & play! Detached 3 car garage offers room for cars, hobbies & toys. Brand new roof in 2018.